Smoke from the Silver Creek Fire northwest of Kremmling. STEAMBOAT SPRINGS — Officials say the next few days will be crucial as they try to keep raging Northwest Colorado wildfires at bay. The human-caused Ryan Fire burning north of Steamboat Springs on the Wyoming border on Friday was listed as being 21,631 acres with 35 percent containment. The Silver Creek Fire burning southeast of Steamboat was listed at 18,719 acres with 60 percent containment. The fire is currently burning mostly in the Sarvis Creek Wilderness, and that is where firefighters want to keep it so it does not threaten any structures or gets too close to U.S. Highway 40. “They’re not feeling like any of those communities or structures are threatened,” Voos said. A red flag warning signifying ideal fire conditions was going into effect Saturday. “Challenging weather conditions continue through Saturday, with very little humidity recovery overnight,” officials stated on the Silver Creek Fire website. Voos said they are looking forward to cooler weather next week to aid firefighting efforts. There are currently 478 people working at the Silver Creek Fire and 321 people at the Ryan Fire. A national incident management team is managing both fires with bases near Kremmling and in Walden. Those type of management teams work in smaller numbers, and they call in additional resources to help. Investigators are still trying to figure out who was responsible for starting the Ryan Fire, which is burning near where the Beaver Creek Fire burned in 2016. Officials have found the campfire where the fire started. Stage 1 fire restrictions are in place in the Routt National Forest, which prohibit campfires unless they are in an established fire grate. Forest Service investigators have received some information from the public about who started the fire, but they still need help. Those with information about activity in the area along National Forest System Trail 1152 at the extreme tip of the Mount Zirkel Wilderness are asked to call 307-314-9408. People should be prepared to provide their name, contact information and details about when, where and what they saw. 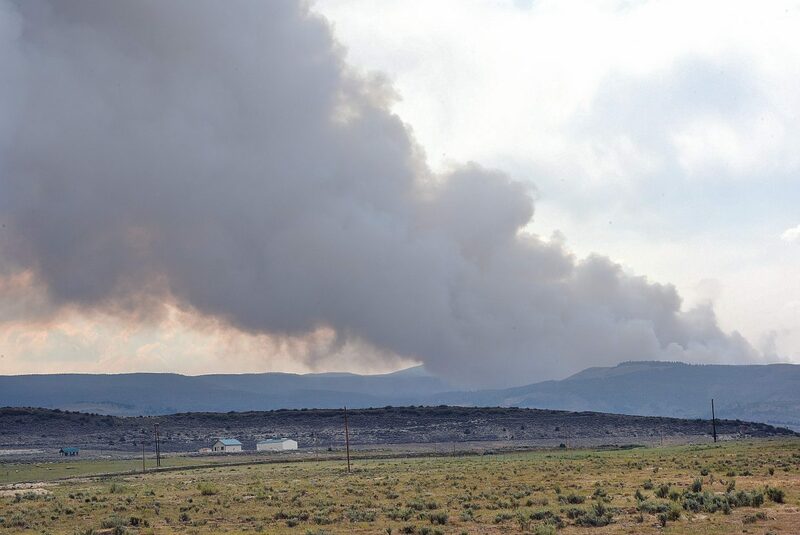 The fire origin is three miles southeast of the Hog Park Guard Station, two miles south of the state line and two miles west of Buffalo Ridge Trailhead in Jackson County. Voos said hunters from the Steamboat area frequently use that area.